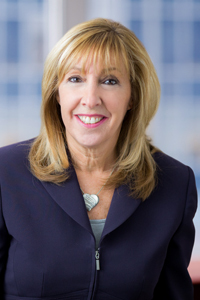 Rhonda R. Feld is a shareholder and a member of the firm's real estate department. A leader in the field of real estate law, Ms. Feld’s practice focuses on acquisitions, sales, development, leasing, commercial lending, workouts, and construction-related agreements. In addition, Ms. Feld also dedicates a substantial portion of her practice to zoning and land use where she frequently appears before local planning and zoning boards, as well as other regulatory agencies, to obtain development approvals for her clients. Ms. Feld's clients include national and regional lending institutions; significant real estate owners, developers, investors, and entrepreneurs; and Fortune 500 Companies. Represented Simon & Schuster in successfully obtaining approvals for an approximate 200,000 square foot addition to its primary warehouse, distribution and customer service center for its North American Operations in Delran, New Jersey. Represented a developer in successfully obtaining approvals for a continuing care retirement community located on an approximately 50 acre site in South Jersey, together with subsequent expansions thereto. Represented a developer in successfully acquiring, financing, reconfiguring, expanding, leasing, and selling units in a multi-parcel, multi-regime condominium office park, consisting of 8 buildings and over 100,000 square feet. Represented owners of low and moderate income housing projects in successfully obtaining public financing from state and federal agencies. Represented one of the country's largest office furniture companies in an ambitious expansion program, leasing and building new showrooms and warehouses across the United States. Selected to the New Jersey Super Lawyers List (Real Estate) 2005-2013. The Super Lawyers list is issued by Thomson Reuters. A description of the selection methodology can be found at https://www.superlawyers.com/about/selection_process.html. No aspect of this advertisement has been approved by the Supreme Court of New Jersey. Rated among Top Attorneys for Real Estate in New Jersey Super Lawyers, Business Edition 2011, 2012, 2013. Rated among Top Attorneys in Real Estate by Super Lawyers Corporate Counsel Edition 2009-2010. Named by SJ Magazine among Top Attorneys in Real Estate and Land Use 2011 and 2012. Rated among Top 50 Female Lawyers by New Jersey Super Lawyers 2005. We have a regional practice and principally serve southern and central New Jersey and the greater Philadelphia, PA market areas, including the following localities in New Jersey: Burlington County, including Marlton, Mt. Laurel, Moorestown and Medford; Camden County, including Cherry Hill, Voorhees and Collingswood; Atlantic County, including Absecon, Atlantic City and Hammonton; Gloucester County, including Deptford; Ocean County, including Manahawken, Forked River, Long Beach Island, Toms River and Lakewood; Cape May County, including Stone Harbor, Avalon, and Ocean City; and Monmouth County, including Wall and Manasquan. Copyright © 2019, Sherman, Silverstein, Kohl, Rose & Podolsky, P.A.